are you? Why? Because with very little on, you can see every flaw on my body. Empty rooms are no different! Buyers walking into this space would immediately think its far too dark and notice the under window contraption. Then, they would walk out. it has no frame of reference. By cleverly floating the furniture around the focal point and creating a seating area, Stephanie leaves nothing up to the buyers imagination. Vacant homes typically take twice as long to sell and go for even less than unstaged, occupied homes. So, imagine the true cost of not staging a vacant home! 3. Every room gives a stager the opportunity to add emotional connections to the space, so that buyers fall in love, aspire to live there and can actually imagine their family in that home. Can you believe this is the same dreary room you saw in the photo above? Yep, thats the power of staging and the importance of not leaving anything up to the buyers imagination. For a quick guide on how to understand home stager pricing and proposals, check out: How to Understand Home Staging Pricing and Proposals: Dos and Donts. ABOUT THE AUTHOR: Audra Slinkey is president and founder of the Home Staging Resource, a home staging and redesign certification training company. Slinkeys training program has been awarded the Most Innovative Product of the Year Award three times. She serves on the board of the Real Estate Staging Association. Slinkey is also a published author and international speaker on staging, color, and design. She is proud and privileged to help create and mentor thousands of staging and design businesses across the globe. To find home stagers that do the kind of work featured above, visit Directory of Certified Home Stagers and Designers. Staging your home during resale is a key component to getting it sold in a timely manner. It can be the difference of waiting 8 months or waiting 2 months for your property to sell. We are all guilty of collecting random items over the years, especially if you have lived in the house for a long time. Removing these items and decluttering can make a huge impact on the look of your home! What is the key to staging a home in appealing to a broad demographic? Presenting a propertys main rooms so buyers can see its true potential beyond what they read in the listing. A room showcased in a way that features the best use of the space will not only get noticed but will increase the perceived value and ultimately reduce the time spent on the market. The following are some examples of rooms that were styled to sell by meeting targeted buyer specific needs. Take away the guesswork from buyers by converting the key rooms of a home back to their original purpose. A living room that was being used as a library or office space (as shown in the example above) lacks the wow factor when entering the home and is a turn-off to young buyers looking for room to entertain guests. By adding cozy furniture and modern accents such as a plush rug, wall art, and colorful throw pillows, the space has a fresh, welcoming appeal and helps buyers see the homes true potential. For the bedroom above that was used by the sellers as a wardrobe closet, its safe to say that buyers would lose interest if they cant see how a full-sized bed, side table, and shelving would work in the room. Presenting a more functional use of the space rather than one that appears tiny with nothing but racks of hanging clothing, immediately might increase the propertys perceived value for buyers with young families. When staging a small, vacant property such as this flip/investment property shown above, choose the right sized furniture and dont overdo with too many accents. 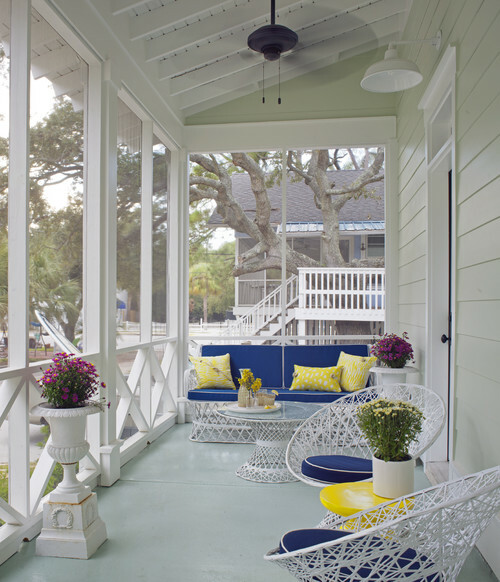 When trying to stage your house, do not forget that your porch exists! 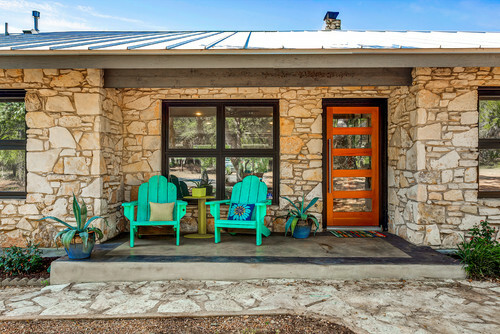 Making the effort to use the porch as a huge selling-point is an easy way to attract buyers who love spending time outside or just enjoy the idea of having an outdoor sitting area. 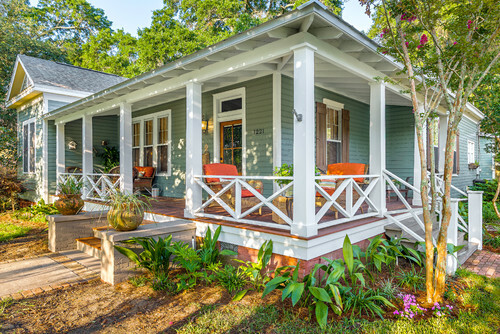 Front porches have grown in popularity within the last few years, so if you have a house that already has one, use it to your advantage. Staging your home for resale is often times more difficult than you imagine it will be. All of the personal items you have collected throughout the years might not be the potential buyers taste or might be a hindering factor on the purchase decision. Keeping it simple and following these 10 easy tips might help ease your staging situation! Not all rooms are considered equal when it comes to home staging. You want to focus your efforts on the rooms that have the biggest potential to influence buyers’ decisions, and spend less time on the rooms that won’t make much of a difference. Per the NAR report mentioned above, the rooms that hold the most importance for buyers are the living room, master bedroom, and kitchen. These are the rooms that you want to focus the most on when you’re staging a home. Don’t worry as much about the rooms that have less influence, such as guest bedrooms, children’s bedrooms, and bathrooms. Dark rooms are sad rooms. Brighten up by letting as much light shine in the house as possible. Open the blinds on all of the windows, which in addition to letting in more light will also make rooms seem bigger. (If your yard needs a bit of work, keep blinds down but open the slats to get a similar effect without showcasing any problem areas.) Turn on all the lights in your house for showings, including lamps and closet lights. This well help make your home more welcoming, and also saves buyers from having to stumble around figuring out which switches turn on which lights. Baseball Hall of Famer Randy Johnson, the big unit, has dropped the price on his Paradise Valley mansion to $16.5 million. If your house is on the market and you want it to be decorated for the holidays and appeal to potential buyers at the same time, there’s no need to worry! You can stage your house with decorations that will make it look inviting and cozy. Potential buyers will love being able to envision the house for holidays after they buy it and move in. Get some ideas in the article below! If youre staging your home during this time of the year, adding a bit of holiday cheer to your decor can make a big impression on potential buyers. Use these tips to create a simple, polished look that puts your home in its best light this holiday season. The Christmas light possibilities are endless, but when youre staging a home for sale, think simple and low-key and stick to one style. An over-the-top display might not reflect the tastes of your potential buyers, and too many decorations can take away from the room itself. Take advantage of the many styles of Christmas tree lights available to give your home an understated yet inviting holiday look. Opt for something different, like an artificial white tree decorated with white LED lights. Finally, choose ornaments and trim that coordinate with the lights. Add a few silver and red ornaments for extra sparkle and color. Its just enough Christmas for your family to enjoy without overpowering the room. Dont completely cover the mantel. Pack away any personal family photos or the kids school crafts. Drape a garland across the mantel, allowing the branches to hang over the edge. A string of simple white LED lights adds just enough illumination to highlight the fireplace. 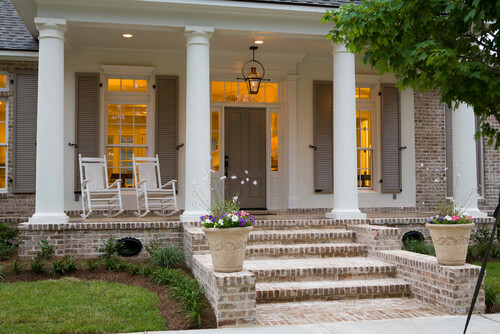 Increase your curb appeal and make a good impression from the get-go by decorating the outside of your home. Consider your neighborhood, tooif all of your neighbors have lights and outdoor decorations, you dont want to be the only home without them. ABOUT THE AUTHOR: Merri Cvetan is an interior designer who writes about home decor topics for The Home Depot. See more from The Home Depot on holiday lighting and decorating ideas here. In Arizona, it is common for people to have tile or hard wood in their homes rather than a lot of carpet. Hard wood, in our opinion, never goes out of style. However, with time, popular colors might change or your floors might begin to show more imperfections. That is where stain comes in. Homeowners might choose to stain their hard wood floors to make them look new again. The article below walks you through how to choose the right color stain. If you want to take on this project, continue reading! Staining your floors is a major decision for three reasons: 1) Your choice will have a substantial impact on the overall look of your home, 2) You will be living with your color choice for a very long time and 3) Once the stain is applied, its expensive and time consuming to redo it. Thats a lot of pressure. Thankfully, choosing the perfect color for your wood floors isnt too difficult. You just need to know the right questions to ask. Below well go through some questions that will get you on the right track of deciding whether you should even stain in the first place, and if so, how to choose the perfect stain color for your home. If you are fortunate enough to have an exotic or unique wood floor such as mahogany, cherry, walnut, or maple then most likely they shouldnt be stained. First, these types of wood already look beautiful in their natural state. Often, when homeowners stain their floors, they are trying to imitate these types of wood floors. Second, many of these exotic floors also dont take being stained well due to the oils or tight grain in the wood. Theres a high chance you wont be happy with the result. Its much better to keep them unstained and enjoy their natural beauty. Over time, some finishes  especially oil based finishes  turn oak a yellowish-orange look that often gets associated with your grandparents floors from the 1960s. Other newer water based finishes can have a washed-out look if applied to a natural unstained oak floor. If this is not the look youre going for, or you want to completely transform how they look, then staining is a great option. If you have previous damage on your floors due to an overzealous pot plant waterer or the last owners bladder-challenged pets, then you have a couple of options: 1) Replace the damaged areas, or 2) Stain the floors a darker color than the damage so its not as obvious. If the water damage covers a large portion of the floor but its only surface damage and can be muted with a darker color, then staining is well worth considering. It will save you a lot of money compared to the alternative of replacing the floors. If you love rustic farmhouse style interiors, you wouldnt stain your floors dark ebony or grey. It would completely clash with your rustic furniture. Mid-toned brown shades would be a better fit. The key is to find a color that highlights and sets the groundwork for the interior decorating style youre aiming for. Remember, your floors make up a large area of your home and will have a significant impact on the overall design. You want something that not only grounds your room, but also blends your decorating style cohesively together. When you find a color you love, save the photo and show it to your wood floor professional. Theyll be able to help you find out how to replicate it. What if I cant decide between 2 or 3 colors? If youve narrowed your choices down to 2 or 3 colors then youre well on your way to getting the perfect stain for your hardwood floors. The next step is to have your floor professional provide some larger samples. Hell be able to offer two choices: either put the stain samples directly on your floor (after sanding a section), or make you some large portable sample panels. The beauty of sample panels also is you can move them around the house and see what the color looks like in various areas of your home, around your furniture, against the kitchen cabinets, etc. Try to get your floor professional to coat them with the same finish system you will use so that the color isnt distorted. Once you live with your samples for a few days, youll know exactly what color will be perfect for your home.